That’s the end of the “Einstein” verse from one of Bob Dylan’s best songs, “Desolation Row”. It is also the place that he fell apart on stage twice in 1992. On April 5, 1992, while performing in Melbourne, Dylan begins to choke up at the end of this verse, stumbling to spit out the words. On the audio that I have, he simply disappears for two minutes, and the band continues to play the instrumental part of the song as if this were a planned break. According to reports of people who were there, Dylan began crying and moved to the back of the stage. He returned to finish the song, but skipped several of the verses. This in itself was not that exceptional, as he had already altered the order of the verses before he took the timeout. 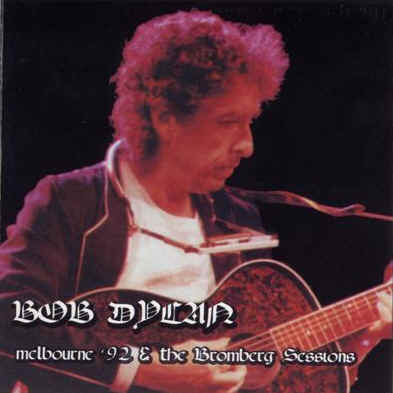 Nine days later, this time in Sydney, Dylan broke down again on stage, and again at the same place in the song. Here he loses his composure even more noticeably, but for a shorter period of time – he returns to the song after only a minute away. Ultimately, this is what you get reduced to on a project like this one. Listening to the nth version of “Desolation Row” for the signs of a man having a possible emotional break-down. It’s not unlike gawking at a car crash – we’re only interested because someone else is in distress of some kind. This is a weird incident, and the Dylan message boards are all over it. If you google it you get all kinds of readings of it. This thread, for example, indicates that the stoppage comes in the “Ophelia” verse, but that is clearly not the case. It offers a long explanation about one of Dylan’s ex-lovers, but given that it gets the fundamental facts wrong, I’m not sure how far we can go with this. This old message board thread attributes Dylan’s emotions to the death of his father, but that event occurred almost twenty years earlier, so that seems incredibly unlikely.